Open yourself up to all that life has to offer with the MINI Convertible. Top-down driving has never been more practical, thanks to the innovative 3-in-1 power convertible top featuring a half-open setting for a panoramic sunroof effect. MINI Rain Warner lets you stay ahead of bad weather, alerting you when inclement weather is nearby and your convertible top is down. Turbocharged engine power, world-class handling, and a performance suspension combine to deliver a world class MINI driving experience. Available real-time navigation, parking assistant, and LED cornering headlights keep you prepared for any obstacles the road can throw at you. 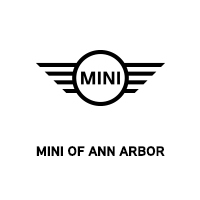 MINI Yours gives you freedom to customize your MINI Convertible to your exact specifications. In fact, over 10 million unique configurations are possible, letting MINI drivers stand out from the crowd.